As I was pondering what to write this morning for the blog, wondering what direction to go, I was directed to an article by David Brooks in the New York Times. The tip comes from Scot McKnight's Weekly Meanderings. In this article Brooks points out the difficulty of moderates to navigate the political realm. This is especially true of center-right folks who traditionally have found a home in the Republican Party. The focus of the story is Nathan Fletcher, a California State Rep who is seeking the office of mayor of San Diego. This office is often held by moderate Republicans, but that animal is a rare bird in this age of polarized politics. So, Fletcher is going Independent, because as a moderate he's finding it difficult to find a home. People of faith, if they choose to enter the public square, face the question of why they are making this move into public life. There are those who desire either to dominate public life through the imposition of religious law or a theological vision, whether that is Sharia, the Ten Commandments, or the Sermon on the Mount! Others hope to gain special privileges, whether that involves official establishment or some other form of support. American history shows that there was not a consensus on this question, even as the states began to ratify the Constitution. Palm Sunday poses problems for preachers. We who know the trajectory of the story know that the celebrations quickly give way to a state-sanctioned execution of a possible troublemaker. Of course, we could just skip Good Friday and jump to the triumphal glory of Easter. It’s a much more cohesive message. Jesus enters the city of Jerusalem, hailed as king and then God graduates him to heavenly glory. We can go from “All Glory, Laud, and Honor” to “Crown Him with Many Crowns.” There’s no need for us to sing “Were you there when they crucified my Lord?” After all, in my subdivision, the children will get to engage in the annual Easter Egg Hunt on Saturday – the day before Palm Sunday! 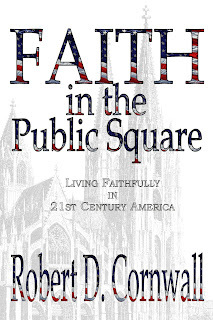 Recent debates in Congress and in the public square have raised the issue of religion and public life. How do these two relate? Is religion truly private? When the two collide, as they often do, what gives? The issue of contraception opened up a lot of different debates, some having to do with the way we understand religion. In this Sightings article, Caryn Riswold asks us to consider once again the long standing Feminist witness. It's not, she says the final frontier, but a frontier that has been contested for centuries within the church. It's a very provocative piece that is worth deep consideration! Health Care Reform -- What's the Right Thing to Do? The Supreme Court is in the midst of hearings that will have wide ranging effects on the lives of every American. The Affordable Care Act (Obamacare) is an imperfect instrument, but it is the first such instrument to be put into law. It is an attempt to provide health care for every American, and Congress (Democrats in Congress) chose to require every American to purchase insurance or pay a rather nominal penalty. Many Democrats preferred a single payer system like Canada's, but they didn't think they had the votes, so they went with on that involved private insurers. When fully implemented there will be regulations and expectations placed on these carriers, including ending the practice of denying benefits for those with pre-existing conditions. The only way that this requirement can work is if everyone is in the pool. If not, then costs can't be shared in a sustainable way. We've been having lots of discussion recently about where the line is drawn between church and state. Whether it's arguments in support of a Christian America or claims of persecution for righteousness sake -- relating to health insurance coverage, the debate has roared. Martin Marty throws open the debate a little further with this essay, using as his foil the claim by a Florida man that he doesn't owe taxes because he's part of the Kingdom of Heaven. Not sure it works, but even in its silliness it raises the questions of boundaries and what is essential and non-essential. And, is heaven a new tax haven replacing the Cayman Islands? Take a read, offer a thought! JESUS HAVE I LOVED, BUT PAUL? : A Narrative Approach to the Problem of Pauline Christianity.By J.R. Daniel Kirk. Grand Rapids: Baker Academic, 2011. Ix + 214 pages. If you ask many of my progressive Christian friends what they think of Paul, their responses might be less than complimentary. Paul simply doesn’t rate with Jesus, and in the minds of some, Paul ruined the faith that Jesus established. Now, it’s true, there have been liberal attempts (Marcus Borg and John Dominic Crossan’s First Paul) to rescue Paul from ignominy by separating out the truly Pauline letters from the pseudo-Pauline letters. Thus, Paul’s more radically egalitarian message is seen as being set aside by later church leaders who sought to shore up the church by casting it in a more hierarchical framework, and doing so in the name of Paul. 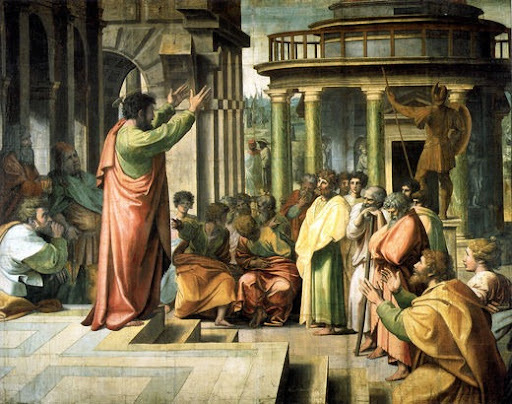 But, who is Paul, really, and how does his message fit with that of Jesus? Are they polar opposites or are they on the same page? Experiencing God's Presence. Is this the Heart's Desire? I'm about to conclude a four week series on hearing the voice of God. We've considered how God speaks through Scripture, Tradition, and Reason -- but what about Experience? Diana Butler Bass writes that in her conversations with Mainline, liberal, Progressive Protestants, a group of Christians that value education and have "little patience for faith without reason," there is disquiet about religious experience. Though I have to say from my own experience that there is equal disquiet about Scripture, so that Reason might be given greater pre-eminence. Perhaps, as Diana suggests the reason for this is that religious experience is often coupled in the minds of many with Pentecostalism (Christianity after Religion, pp. 120-121). Having been a Pentecostal, I understand some of the reticence, but is it necessary? Is it possible for us to hear the voice of God in the midst of our experiences of life and the Spirit? Are These Inalienable Rights Self-Evident? Tradition -- What should we do with it? Wake Up America! If you want war . . .